With Argentina looking dysfunctional and under-performing throughout the qualifiers, Messi's dream of matching Maradona in Russia always looked a tall order. Lionel Messi's 31st birthday this weekend is an ominous reminder Russia may be his last World Cup and final chance to emulate fellow Argentine great Diego Maradona in lifting the ultimate prize. The diminutive Argentine captain known as "La Pulga" (The Flea) has won every club accolade imaginable with Barcelona, but has agonizingly missed out on international trophies both at the World Cup and Copa America. For many Argentines, that means while he may be the world's best player currently, Messi has not entered the same pantheon as Maradona "El Pibe" (The Kid) who won the 1986 World Cup. But it became harder in the 64th minute of Argentina's opener when his tame penalty was saved by Iceland's goalkeeper -- watched inevitably by Maradona who had lapped up adoring cries of "Dieeeeego!" beforehand. "Look, I love Messi, we all do. 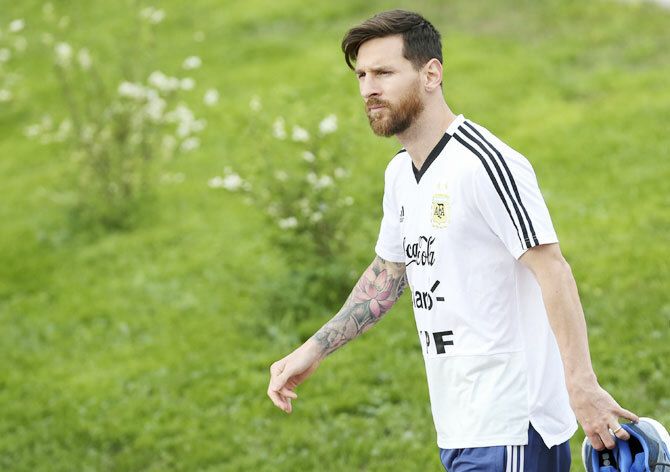 But it's just not working out for him internationally," said Guillermo Aguirre, strolling round Nizhny Novgorod as Argentine fans began to arrive for Thursday's game against Croatia. "I want to see him lift the cup so the Maradona debate can be ended because it's not fair on him. But if I'm realistic, Brazil was the best opportunity," added Aguirre, in reference to Argentina's 1-0 defeat by Germany in the 2014 final. Some expect Messi to exit international football after Russia, after his aborted "retirement" in the aftermath of a devastating penalty shootout defeat to Chile in the 2016 Copa America where he again missed from the spot. He has enjoyed a glittering club career, winning World Player of the Year five times with a string of La Liga and Champions League titles. 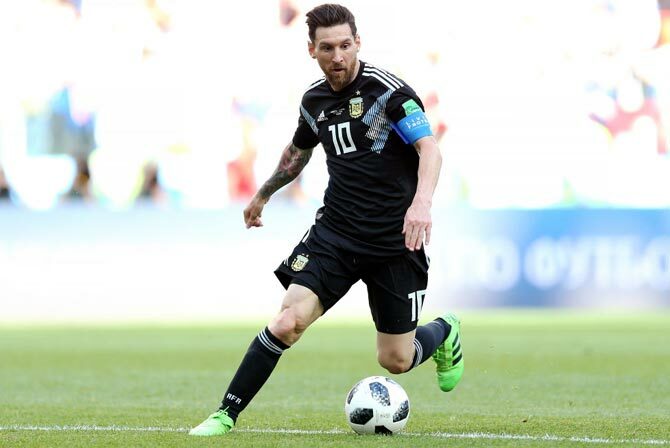 "It is clear that Messi's legacy and standing within the game would be enhanced with victory in Russia this summer, but he does not need to win the World Cup to be viewed as Maradona's equal," argued London-based sports writer Greg Lea in an article for The Sportsman. "The Champions League is now the pinnacle of the global game in terms of quality, and Messi has won that on multiple occasions," he added, noting Messi won the Golden Ball as best player in Brazil and may have taken the World Cup trophy had Gonzalo Higuain finished better. At home, Messi's face and number adorn billboards, masks and shirts around the nation, yet his life story does not command the same sympathies as Maradona, who rose from a grimy slum and showed his flaws with addictions to drugs and alcohol. By contrast, the more reserved Messi moved to Spain aged 11 and has a model family image. But if he does fail again in Russia, there will be sympathy from fellow professionals who feel teammates and chaotic national authorities let him down, while fickle fans forget he is still Argentina's top scorer. "You can't give all the responsibility to Messi. Because then what's the point of you being there?" said former Argentine forward Claudio Caniggia. "Messi doesn't get the same support from his teammates as Maradona."